We’d never suggest that you sneak alcohol onto a cruise (wink). But if you were to want to try, then we would be remiss if we didn’t share some of what we have figured out on carrying in contraband. Before we get too far, however, you should know that if you are caught trying to smuggle alcohol onto a cruise, then expect it to be poured out. 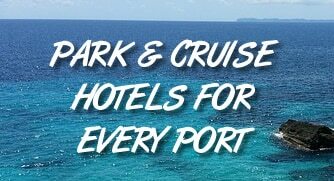 Cruise lines also reserve the right to inflict worse punishment (including kicking you off the cruise without a refund). Still, if you do decide to test your luck then it’s best to learn from some experts to increase your chances of success. The following videos showcase several different ways you can try to bring on booze. The links below the videos offer some supplies that might be helpful in your pursuit. If you do want to sneak some alcohol, the good news is that many supplies made for the task are easily available. The links below take you to Amazon where you can buy the items seen in the videos above.